It is always a little daunting to have photos taken. It's not something that is normal for day-to-day life and can be one of the hardest things to prepare for. For me, I instantly clam up when a lens is pointing at me. Spending so much time around cameras does not prepare me for being in front of the camera. I know that most couples feel the exact same way as I do. The great thing is, there are ways to prepare for your engagement session that will greatly put your mind at ease. Engagement photos can feel very strange and it can often times seem like your relationship isn't accurately portrayed in them. When we chat with our couples about their engagement shoot, one of the most common thing is someone in the couple not understanding the point of these photos. They don't care, they hate their photo taken, or they just want to hire us for the wedding and be done. Unfortunately, that's not how this all works. We want to experience your relationship in advance. With our photos, we get really wonderful emotion because we don't just show up on the wedding day. Our bond with the couple is what creates a genuine interaction and ability for them to show us who they are. Your photos are important, and we want everyone to feel something when they look at your photos. 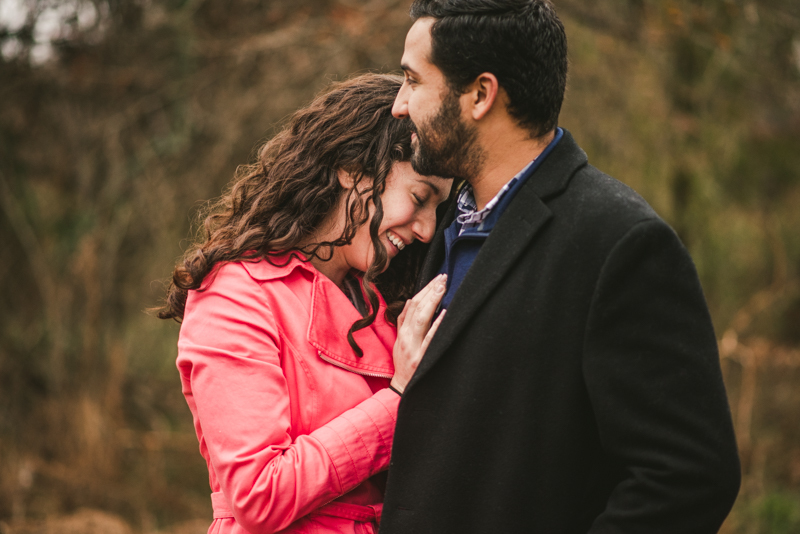 The following advice to prepare for your engagement session all go hand-in-hand together. If each point is taken into consideration, then when it comes time for your photos, you will know exactly what to expect and what to do. 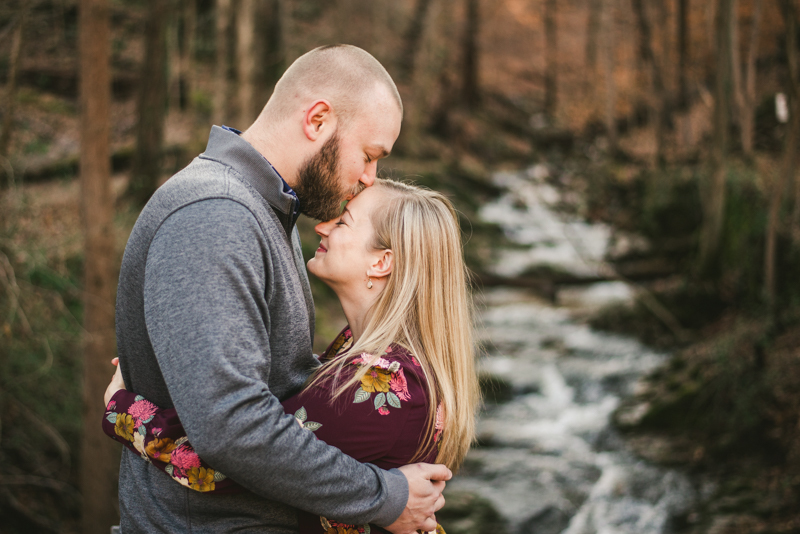 Looking over some of our previous engagement sessions can give you a better idea of what to expect. Our posing has a lot of emotion and sentiment in it. So if you arrive thinking that this is going to be a "tilt your head and smile at the camera" session, you may be disappointed. We like to keep things loose and comfortable. Finding 3 of our sessions that you adore can get you ready for your own moment to shine. This tip is especially helpful if your partner isn't really understanding what this whole "photo thing" is supposed to look like. Fun bonus - We like to half joke with our couples that they should practice staring at each other. It's pretty goofy and weird, but it's totally accurate. A large amount of time during the engagement is spent looking at each other. You have to be ready to gaze longingly at each other, so try it before you arrive. It never hurts to be more prepared, and it means getting into the rhythm much sooner! This is incredibly important. 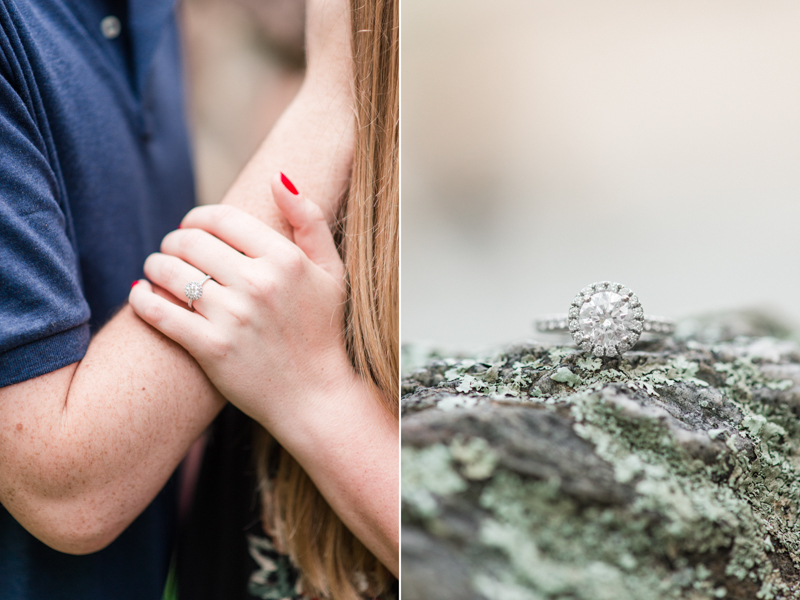 Ring shots are some of my favorite images from an engagement session. When your partner first puts that ring on your finger, it's absolutely hypnotizing with all of it's sparkle. You can easily get lost in the glimmer. Of course, over time, your ring naturally gets a little dirty. When it comes time for your session, you will want to make sure that your bling is like new. When it comes to the cleaning, you don't have to do anything complicated. I've read that the best method for cleaning your ring is to soak it in a simple mixture of warm water and dish soap. Easy, right? 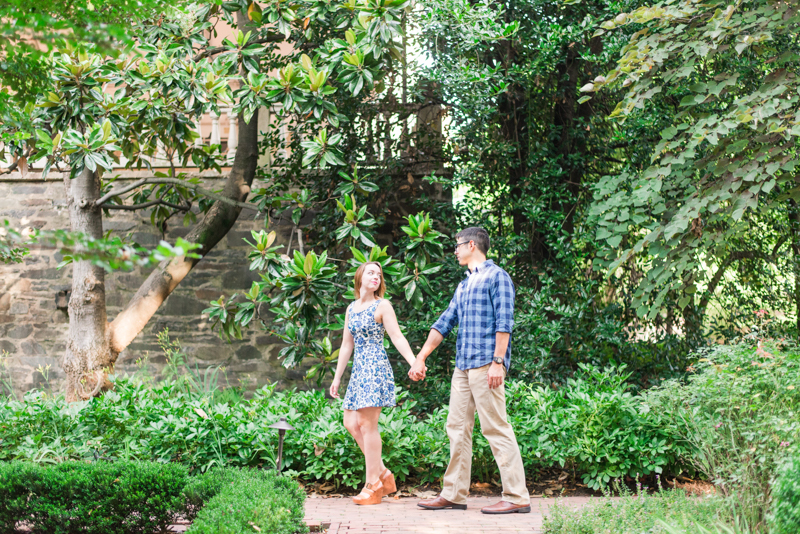 A lot of the time couples have a location in mind that will dictate the time of day their engagement session will start. In any given season, I've found the best times to shoot are 30 minutes after sunrise and 2 hours before sunset. I know some photographers advise an hour after sunrise, but when the sun wakes up, it gets ready for it's day extremely fast. We do not want to lose any of the perfect light. With cities and areas that are generally congested, we should plan for a weekday morning or evening. On the weekends, timing for city hotspots will always be sunrise. I know just the word "sunrise" makes me feel tired, but if you lay out your outfits early and get a good night's sleep, sunrise is considerably less scary. With parks and other natural spots, the best time will be sunset on Sundays or the weekdays. These areas really transform during the golden hour and become very ethereal looking. It's absolutely one of my favorite looks! If you are unsure of timing, just email me and I can help out! Bonus tip - Be on time! I cannot stress enough how even being 10 minutes late can throw off the entire session. We lose that window of excellent light super fast, so we want to be sure that every ounce of it is used. 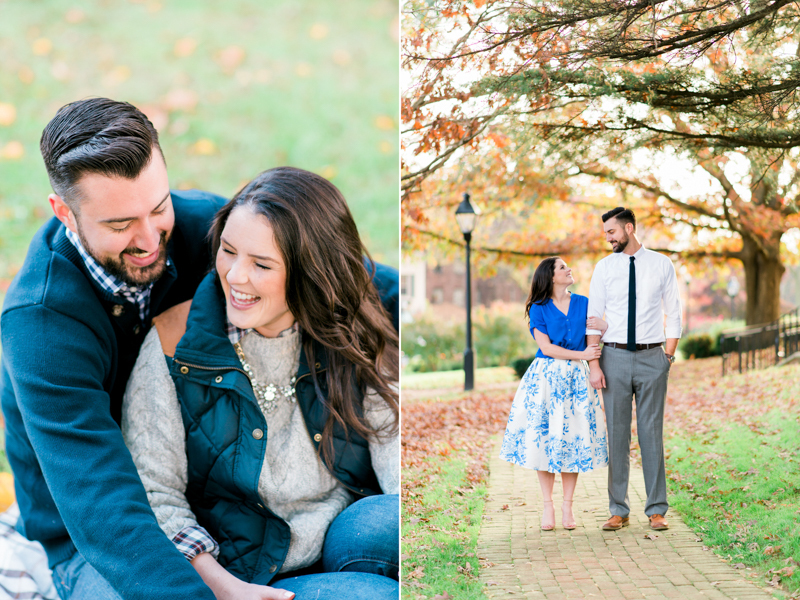 Also, Shawn and I enjoy getting to know you two during your engagement session, so we like having ample time to do that. Thinking about your outfits well before your session date is majorly important. We have a blog post from a couple months ago that talks more about outfits, but I think it's beneficial to also discuss it now. For your clothing, you never want to match too much. Instead, you should try to find colors and styles that coordinate. We like to advise against busy graphical patterns, since those can clash in photos a lot of the time. If you really want some sort of pattern, make sure it isn't distracting so it doesn't take away from the two of you. We want you both to be bold and fabulous looking, so in place of crazy patterns, maybe a great statement necklace or an interesting tie could be the trade off. We've seen a lot of guys look really GQ with a pressed shirt, a sleek tie, and great slacks, but then on their feet they wear tennis shoes. I know you want to be comfortable, but an awful pair of shoes can completely ruin even the most A-lister outfit. My suggestion is to grab a dressier pair of shoes, and break them in a week before the session. They won't be as comfy as your New Balances, but you'll look amazing. Your session is only for 2 hours - you should completely show off during that time. It's okay to be nervous. Chances are, you haven't done a couples session before, so you aren't really sure what to expect. The biggest thing I can recommend is to take a deep breath and allow yourselves to have fun. We want to capture your relationship and make you two comfortable. We know you don't sit on the couch for hours staring at one another, but you do laugh, chat, and snuggle. It's big time important for us to have the realness of your relationship present in your photos. Our goal is for all of us to leave the session going "wow, that was so easy and we adore them!" Shawn and I want you two to display your engagement photos even after you're married. We want your kids, their grandchildren, and even kids from 3046 to look at your engagement photos and say, "that's what love looks like." I hope these tips help you get ready for the awesome morning or evening that we will have together. If you still have some questions, please send us a message so we can put your mind at ease!